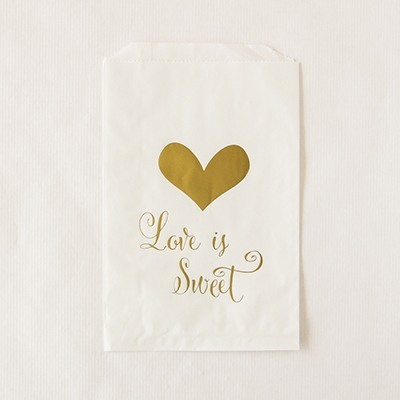 Q:Would these bags fit a standard size (1) donut? 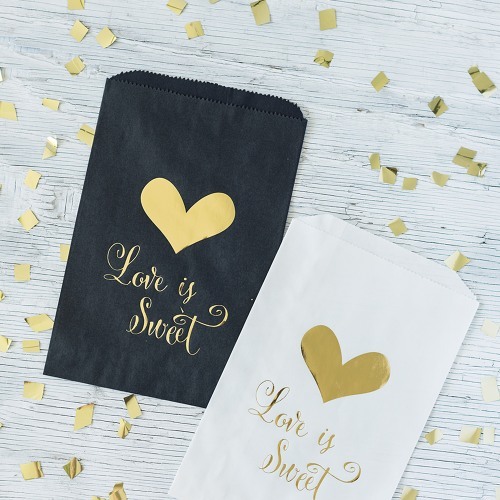 There's nothing sweeter than true love, except maybe for these pretty "Love is Sweet" candy bags when filled with delicious treats for wedding guests! 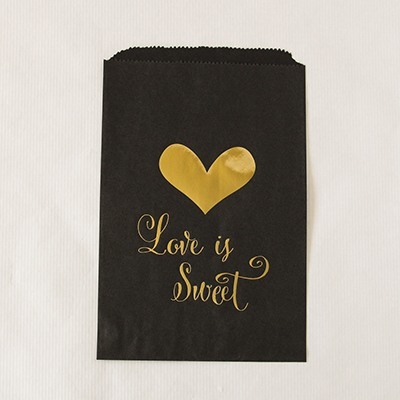 Available in your choice of bag color, each bag comes decorated in a metallic gold foil print. 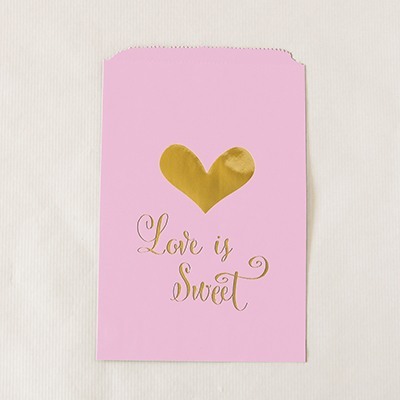 All you have to do is fill with cookies, Jordan almonds, or homemade treats!